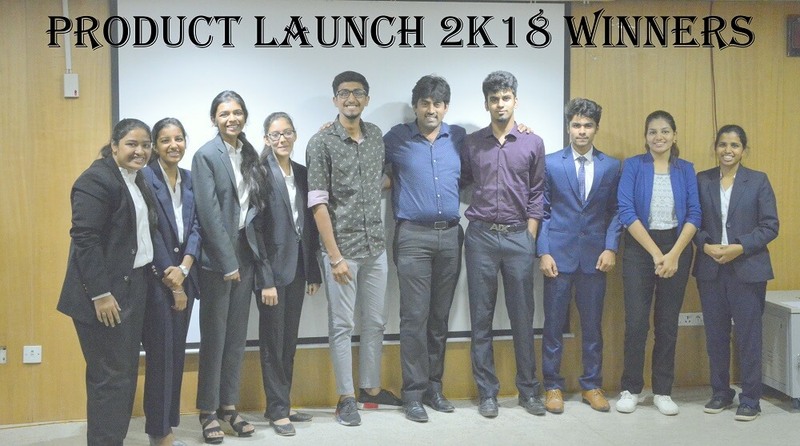 Emporio – The Commerce Forum of Jain College, JC Road organized the event, ‘Product Launch 2K18’ on 23 July 2018. The event provides an opportunity which takes one’s thinking and creativity capacity to the level of practical innovation of a product in the market. It makes one a true innovator and a market leader. This Event was an amalgamation of two rounds for all commerce PUC students. In the first round named ‘Vintage Recreation’ the participants were grouped into 3 to 4 members and asked to exhibit their innovative and creative ideas for the products of the 1980s era. There were 14 teams who participated. The top six teams were qualified for final round ‘Shark Tank’ and the finalists were given a base product which had to be innovated and presented in front of the potential investors. After the breathtaking round, the winners were declared as first place-Team ‘Seatbit’ (Prapthi, Zubair, Ritu) and second place-Team ‘Watch my back’ ( Sakshi M, Dikshitha, Nehal, Khushi). The participants got a chance to excel in their skills, presentation, versatility, and creativity in presenting their product in the market for launch in the future.